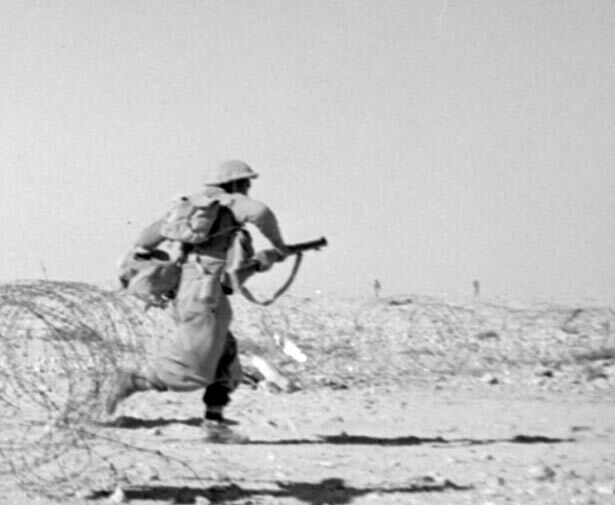 The second battle of El Alamein, which began on 23 October 1942, was the turning point of the North African campaign - the longest and most important land campaign fought by New Zealanders in the Second World War. Between 1940 and 1943 British and Commonwealth troops, together with contingents from occupied European countries and the United States, fought an ultimately successful campaign to clear North Africa of German and Italian forces. At the heart of the Allied effort was the 2nd New Zealand Division. From Operation Crusader to the final victory in Tunisia, ‘The Div’ took part in some of the fiercest battles of the desert campaign - at El Alamein, El Mreir, Minqar Qaim, Ruweisat Ridge, Sidi Rezegh, Takrouna, Tebaga Gap and elsewhere. Three Kiwis – Charles Upham, Keith Elliott and Te Moananui-a-Kiwa Ngarimu – were awarded the Victoria Cross (VC) for their part in these battles. Victory in North Africa came at a heavy price. Almost 10,000 New Zealanders were killed or wounded; another 4041 became prisoners of war (POWs). Here we present an overview of New Zealand's involvement in the North African campaign and a timeline of significant events. We have 10 biographies, 16 articles, related to The North African Campaign.